Police say a Meridian man was outside of Bogus Basin's boundaries and attempted to jump the road before a driver struck him. He later died from his injuries Saturday night. BOISE, Idaho — Idaho State Police are investigating a fatal crash between a snowboarder and a vehicle on Bogus Basin Road that occurred about 3:15 p.m. Saturday, near milepost 15. Police say Shea Helmick, 32, of Meridian was snowboarding outside of Bogus' boundaries and attempted to jump the road before a teen driver in a 2006 Hummer H2 heading northbound on Bogus Basin Road struck him. Helmick was transported to Saint Alphonsus Regional Medical Center in Boise. He died from his injuries at the hospital Saturday night. Helmick was not wearing a helmet. The driver and their passenger were not transported to the hospital and both were wearing their seatbelts, police say. 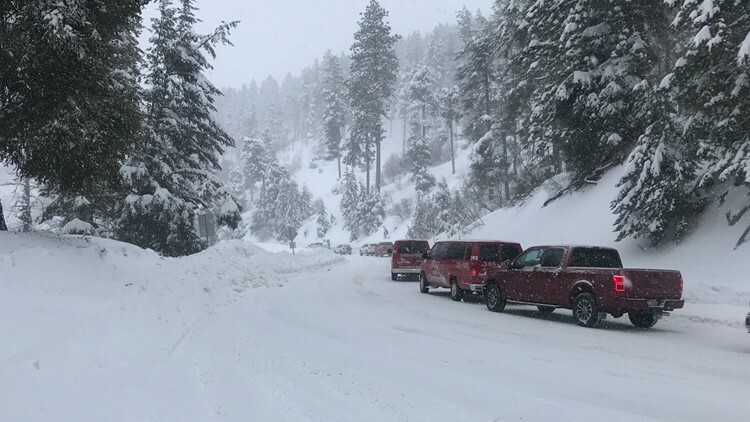 Bogus Basin Road was blocked off for three hours, but traffic continued to be sluggish as drivers made their way around the crash.